Reactive Service & Supply of your imaging fleet is frustrating and disruptive to your business. 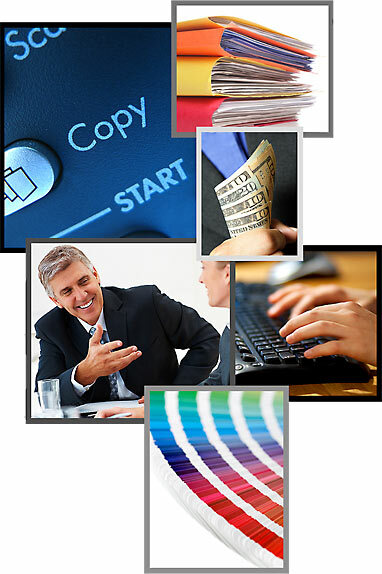 There is a better process: OptiPrintSM brings the technology required to proactively manage your printing assets. The OptiPrintSM Data Collection Agent is installed on a networked PC running Windows 2000/XP or higher, or directly into a Windows 2003 server. This software application runs in the background, collecting and transmitting critical imaging metrics to the OptiPrintSM secure web server. From then on, your printer information will be available 24 hours a day, 7 days a week this visibility will provide the tools necessary to identify ways to optimize your printing environment. No personal or user data is collected with the software; only the core metrics needed to maintain and manage your printing assets are gathered. Click Here to View Security Overview. This information OptiPrintSM collects is then used to monitor and manage every aspect of your printer fleet, whether that is inventory of supply levels, cost of supplies, as well as service and maintenance. OptiPrintSM is a comprehensive print management solution created to help organizations control and reduce office printing costs. The technology has been developed to give a proactive approach to managing printing assets while increasing productivity and lowering costs.